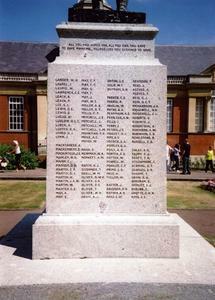 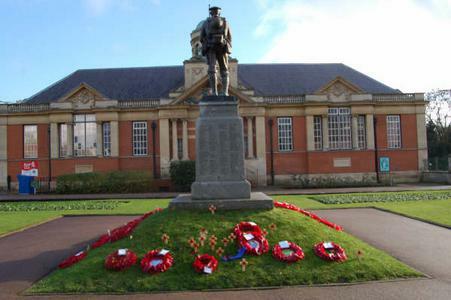 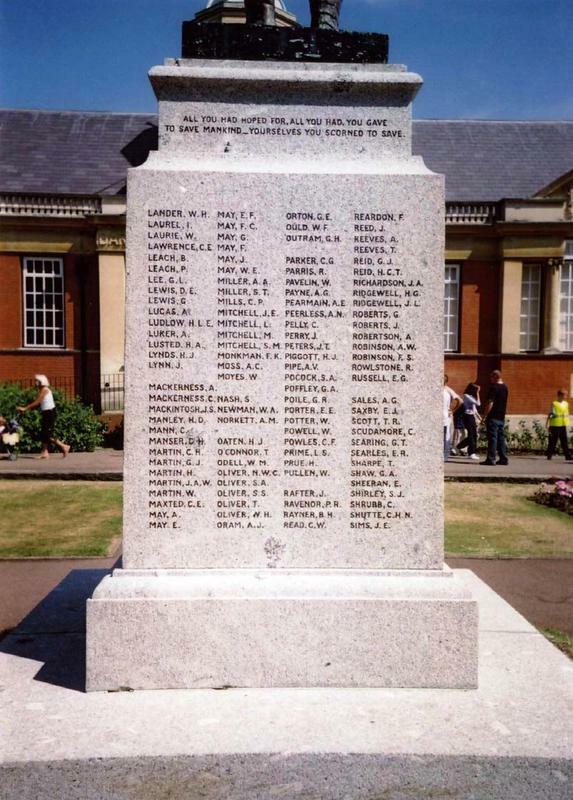 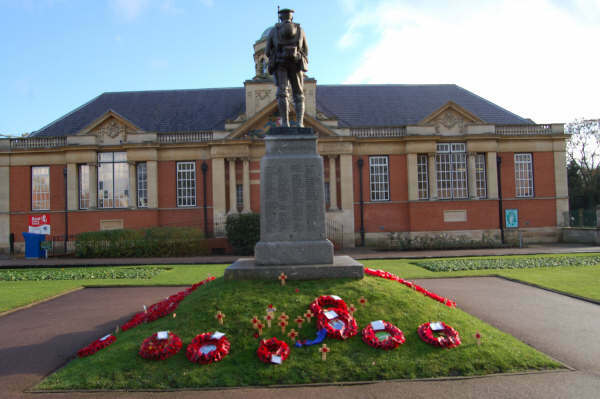 The memorial is opposite the library. 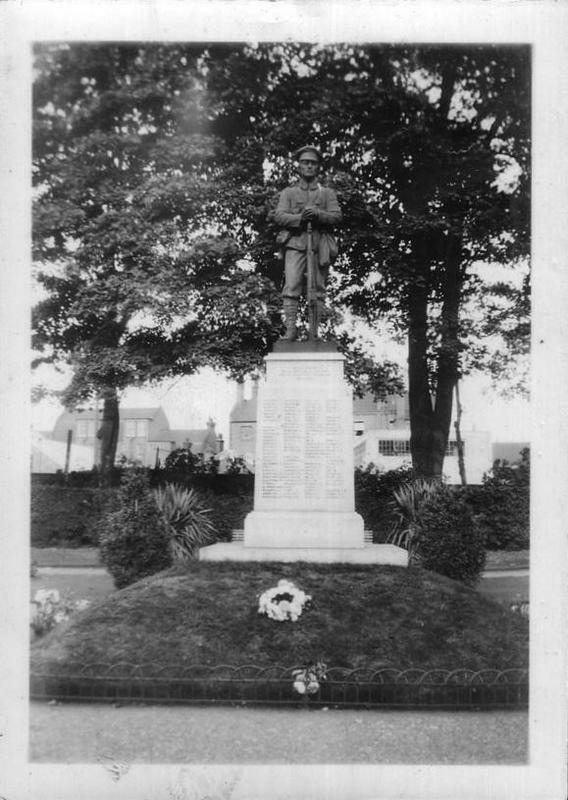 Stepped granite pedestal on a granite base surmounted by a bronze statue of a British Tommy. The pedestal is in three unequal sections. 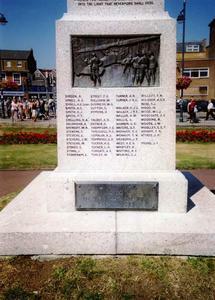 The bottom section has three inscribed bronze plaques on it. 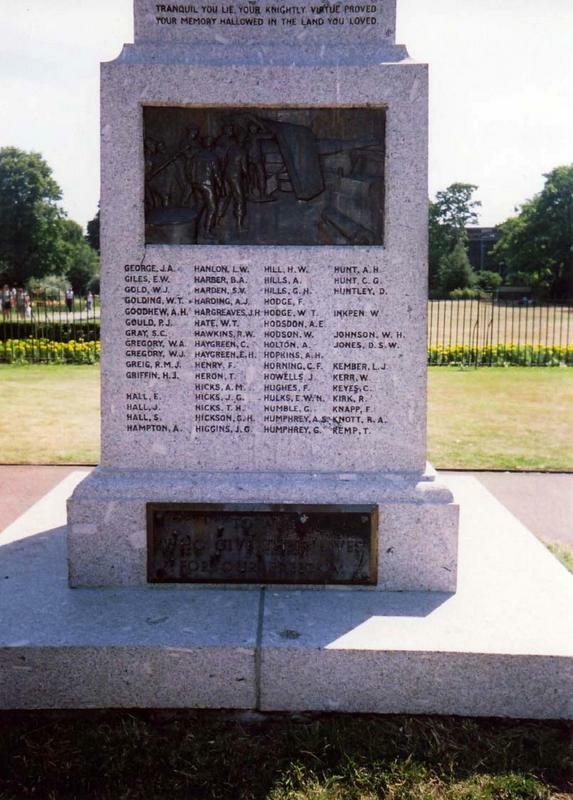 The central section is inscribed on all sides by the names of the fallen with inset figuartive bronze plaques depicting a naval heavy gun and gun crew and a biplane and observers. 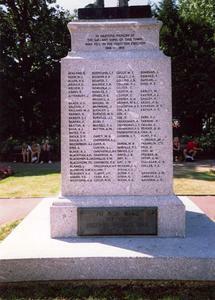 The third section is inscribed on all sides. 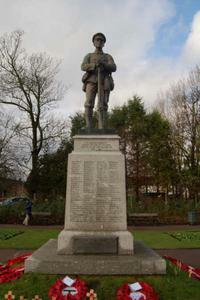 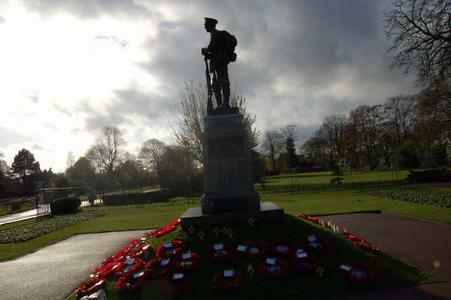 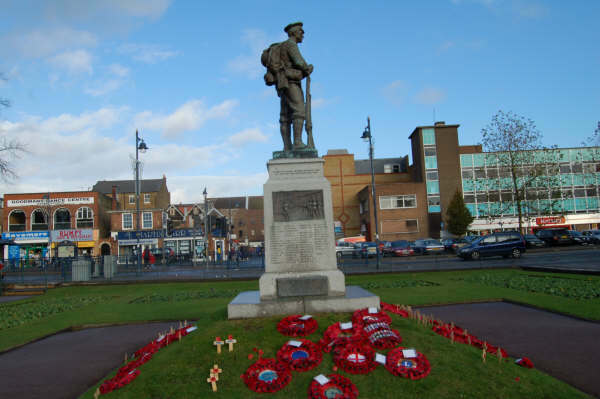 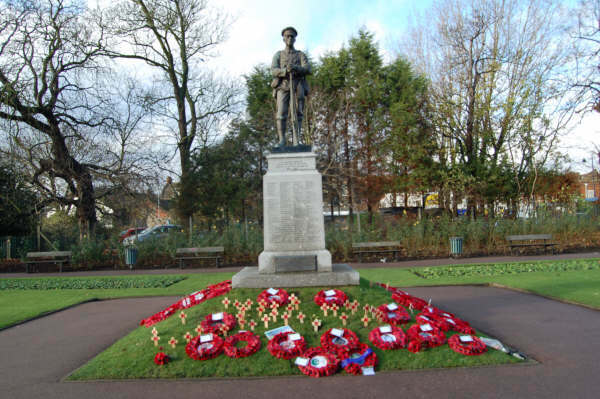 The statue of the British Tommy is depicted in full battle dress, carrying a backpack and with kit slung from his belt. 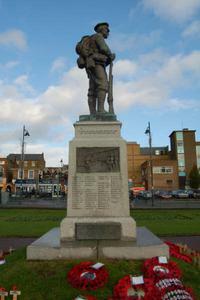 The figure stands at ease resting both hands on the muzzle of his rifle.